Rail passengers could soon have access to high-speed Wi-Fi on trains under new Government plans. Faster connections would mean that every commuter on board could watch videos simultaneously during their journey. It comes after Ministers made fast broadband a legal right for every household by 2020. Now internet connectivity on trains could be ‘dramatically improved’ on all mainline routes by 2025, creating a ‘world-class’ service for passengers. Currently, internet and mobile signals are supplied by mobile phone networks around the country, meaning they are often patchy or non-existent. Under the new plans, fibre optic cables will be laid along rail tracks and through tunnels, and wireless devices will be mounted on mobile masts. Minimum standards for mobile connectivity are already being introduced on new rail franchises. The improvements are part of the Department for Culture, Media and Sport’s 5G strategy. Digital Minister Matt Hancock said: ‘We want people to be able to get connected where they live, work and travel. This means improving connections on Britain’s railways now, and making sure they are fit for the future. Earlier this month, Ministers announced plans to give every home the legal right to demand high-speed broadband. All homes and businesses in the UK will have access to speeds of at least 10 Mbps (megabits per second) by 2020, they pledged. The plans mean broadband providers now face a legal requirement to provide high-speed internet access when a household requests it. Britain currently lags behind most of Europe and the world in providing access to the fastest internet speeds available. There are more than 1.1million ‘forgotten’ homes and businesses in the UK which do not have access to decent broadband speeds. The plans to provide better Wi-Fi and mobile signals on trains follow on from this announcement. Each train could get speeds of around 1 Gigabit Per Second (Gbps), allowing several hundred travellers to stream video at the same time. Bruce Williamson, from campaign group Railfuture, welcomed the plans. 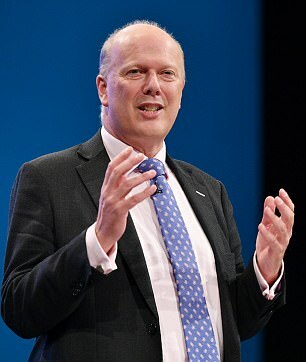 He said: ‘It should become absolutely standard for all trains on the British railway network to have seamless connectivity, as it’s essential for attracting the smartphone connected generation to rail, as well as the business traveller working on the move. 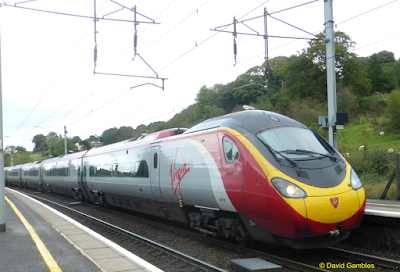 Work has already begun on a trial on the trans-Pennine route between Manchester and York, in partnership with Network Rail. The pilot is part of a £31billion National Productivity Investment Fund, which will include £1billion for improving Britain’s digital infrastructure.